Our SharePoint document management services allow businesses to make the information readily available for end users and employees and even help businesses to easily track down the information as it moves throughout the organization. Our SharePoint Document Management system allows employees to find most reliable data as it is easily retrievable and discoverable in SharePoint document libraries. 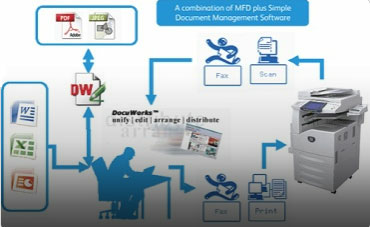 With our document management services you have complete control over the documents with versioning, search and audit trails. Creative Web Designer customize the SharePoint based document management solutions to meet the unique needs of your organization. With our SharePoint Document Management solutions we help companies and organizations comply with industry regulations, eliminate hassles of searching for and re-creating existing documents and increase employee productivity.